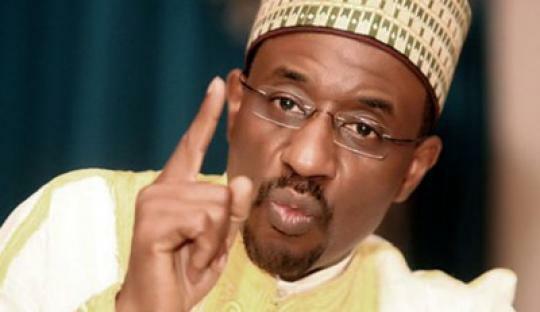 According to a report culled from Vanguard, The suspended Governor of Central Bank of Nigeria, CBN, Mallam Sanusi Lamido Sanusi, yesterday, lost his bid to return to office as the Federal High Court sitting in Abuja declined to set aside his suspension by President Goodluck Jonathan. The court, in its 84-page judgment, said it was bereft of the jurisdiction to reinstate the ousted CBN Governor, stressing that the nature of his suit bothered on a dispute between an employer and his employee, which it said only the National Industrial Court, NIC, has the statutory powers to adjudicate on. However, before referring the case to the NIC, presiding Justice Gabriel Kolawole described as baseless Sanusi’s claim that he was not an employee of the Federal Government but that of the CBN. He ruled: “When I read through the arguments of the plaintiff, I then asked myself, so whose employee is he? “It is not in dispute that the CBN is an agency of the Federal Government and a statutory body created by the National Assembly. “The appointment of the plaintiff was made in line with the CBN Act. “By this, the plaintiff qualifies as a public officer in the public service of the federation. Therefore, the plaintiff’s appointment cannot be equated with that of specific public officers like judicial officers as he has argued. This entry was posted in News, Politics and tagged Court Declines To Reinstate SanusiLamido As CBN Governor.